After a long wait, the much awaited official trailer of the upcoming film Dhadak has been released on June 11, 2018. 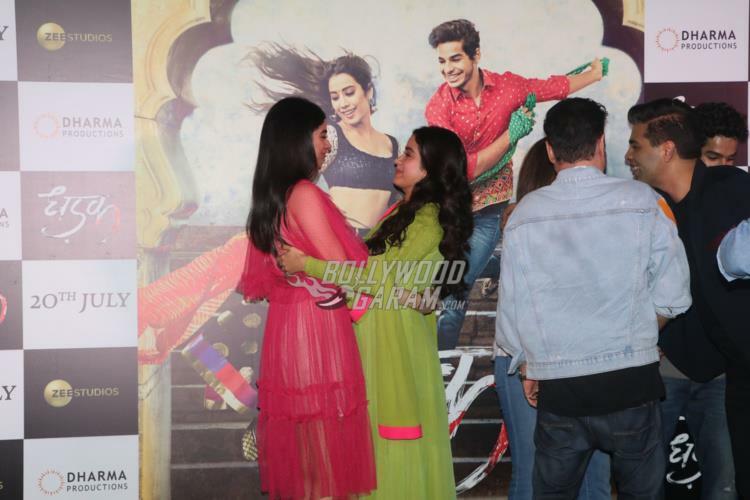 The event marked the launch of the trailer and also the first media interaction for debutant Janhvi Kapoor. 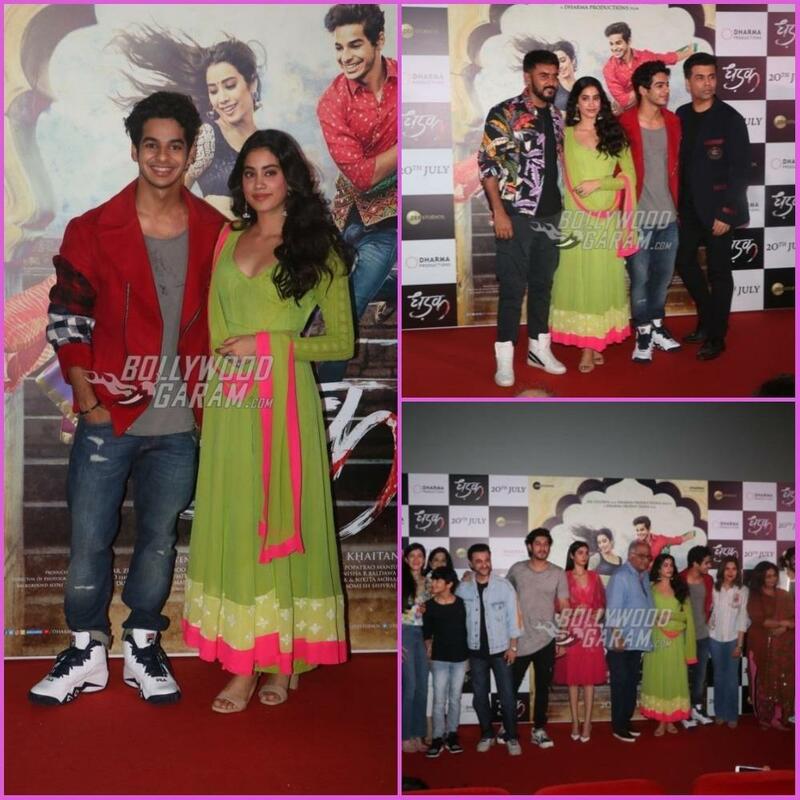 The entire Kapoor clan was there to show support for Janhvi and Ishaan’s upcoming film which is a remake of the Marathi flick Sairat. 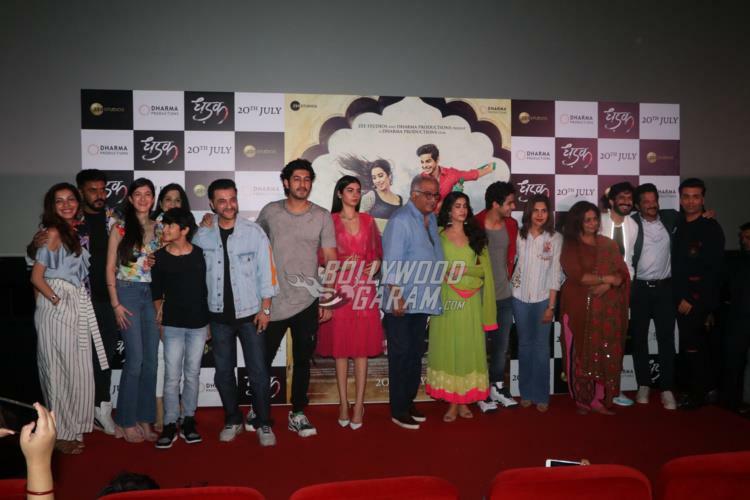 The launch event also saw the presence of Karan Johar, director Shashank Khaitan, Ishaan Khatter, composers Ajay Atul and others. Khushi Kapoor, Boney Kapoor, Sanjay Kapoor, Anil Kapoor, Neelima Azeem, and others were snapped attending the launch event. 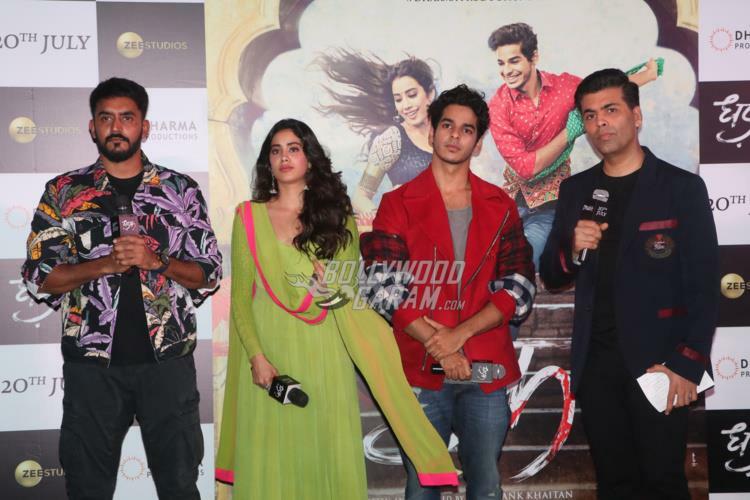 Talking about the trailer, the entire feel is of a set up at Rajasthan, the young actors have managed to grab the tone of the language and look great. 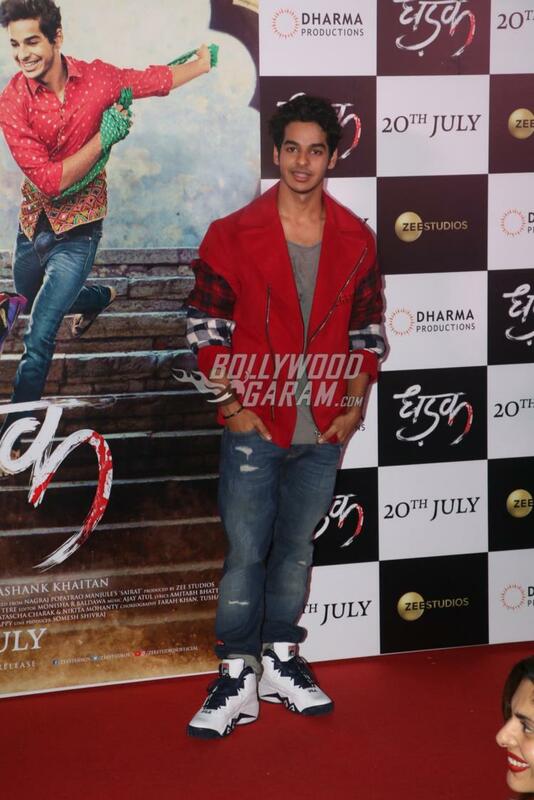 When compared to Sairat, Dhadak looks similar but it has its own essence with the young actors giving it its unique flavor. The best part of the trailer comes when the chartbuster song Zingaat is played, which has been recreated by the composers Ajay-Atul with Hindi lyrics. 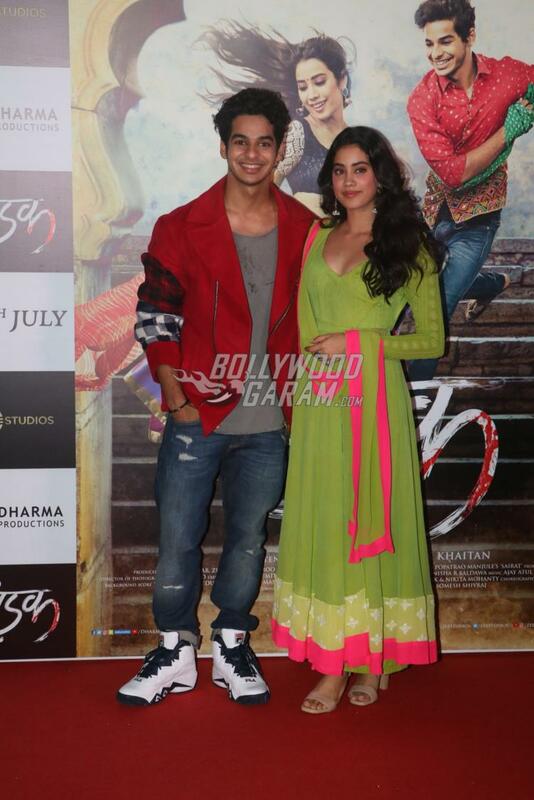 Janhvi looks pretty in a green ethnic outfit while Ishaan opted to be casual with a grey t-shirt, red jacket, blue denims and large sports shoes. 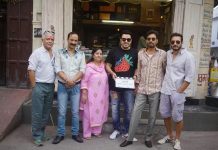 Going by the trailer, the audience surely cannot wait to watch the film which is ready to be released in theatres on July 20, 2018.